About Cara Ostryn, Thrive Consultant & Psychotherapist - Cara Ostryn BSc. Hello there! If we work together, I’ll get to know quite a lot about you, so here’s a little bit of information about me – just in case you were wondering…. What are my credentials ? I’ve been helping people to resolve their anxieties and issues since 2000, helping thousands of people. I have a degree in Psychology and over the years have studied, practiced and been a participant of many different types of therapy. These include hypnotherapy, CBT, NLP, EFT, counselling, psychotherapy, Pure Hypnoanalysis and Brief solution focused therapy – I’ve been around the therapy block a bit! Why do I do this job? I really like people. Unless you’re a psychopath, I’ll like you too. My previous struggles with my own issues means that I have come out the other side with empathy and compassion for others. There is no better feeling than seeing the amazing turnaround in people from the start of the programme to the end. How did I get into doing this? Having known what it feels like to have poor self esteem and social anxiety myself (ok ok, I’ll stop going on about it), I’ve always been interested in what makes us tick. This is what prompted me to choose Psychology as a degree. I didn’t jump straight into helping people as a career afterwards, I did so after a string of other jobs including software trainer, graphics recruitment consultant and Market researcher. I cannot recommend this lady enough. She enjoys the fact she is helping you and her compassion, understanding, ease and trustworthiness is second to none. So worth every penny I spent and I was kinda sad when she “sorted me out” because I wouldn’t see her again. Oh and she has a fantastic sense of humor. Where do I work? 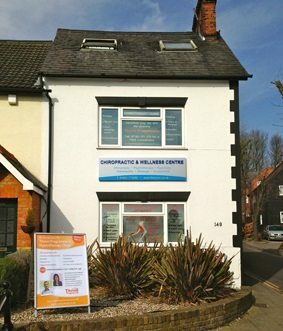 I have offices in Rickmansworth in North London/Hertfordshire and Aylesbury in Bucks. 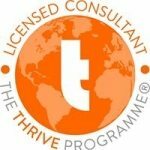 However, because The Thrive Programme works well via Skype, I frequently work with clients in such places as China, New Zealand, Australia, America, Dubai and Essex. I’m really happy to have a chat with you if you’d like to find out more. Just call my mobile on 07740 781 573. If I’m with a client, you can leave a confidential message on my answerphone and I will return your call as soon as possible.